Living in Edinburgh gives residents the best of both worlds, with all the advantages of city living but ideally situated to enjoy the lush Scottish countryside. New homes in Edinburgh include houses and apartment, so appeal to a wide range of buyers, and are well served by an abundance of schools and colleges, excellent transport links and fantastic shopping options. 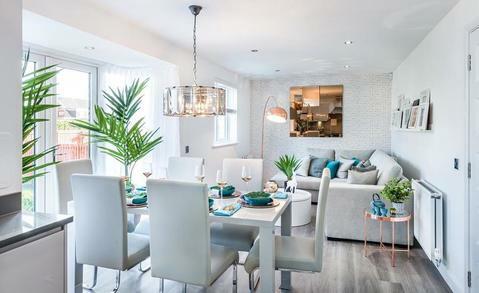 New homes are available in central Edinburgh as well as Dalkeith, Musselburgh, Prestonpans and beautiful villages such as Cramond and range from penthouses to spacious family homes. Edinburgh is well served by A-roads in the centre and the M8 from further afield. Edinburgh has two mainline stations with intercity services operated by Virgin Trains to London and local rail services by Scotrail. The city itself is home to one of the top universities in the UK, and with a number of excellent schools and colleges, education plays a big part in the life of the city.